Canadians love to give! We see it every day here at Donate a Car. 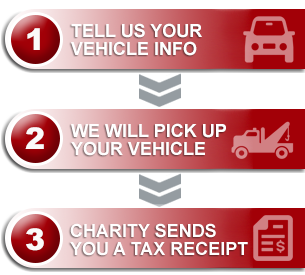 It’s exciting to be part of gifting the Canadian charities you love, one vehicle donation at a time! gifted anywhere from $5000.00 to $140,000.00 by donors like you! When you donate your vehicle through our program, either for recycling, or re-selling, you can feel confident that your contributing to the joint efforts of vehicle donors across the country. Whether your donation outcome is the result of a re-sale on a newer, drivable car, or a standard recycle outcome, every dollar counts. We’re in this together and making our country great one gift at a time!